I am am still alive and well at the age of 65. Everything in moderation is good. I do not listen to any of the health advice. I follow my own. In her op-ed, Karen Selick presents sensible arguments for why an informed individual should be able to make his own choice to accept certain potential health risks, in exchange for other potential health benefits from drinking raw milk. However, the reason Ontarians are not permitted to make this judgment call for themselves is simple — because Premier Dad says so. I read with great interest Karen Selick’s column on raw milk. I am also a great fan of the National Post’s graphics and design. However, when editors are casting around for photographic illustrations for stories pertaining to agricultural matters, they should run their ideas by someone who has some acquaintance with such things. 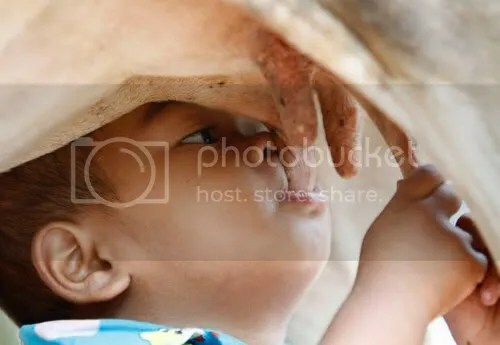 It would be a strange farm indeed that produced milk from the animals shown in the accompanying photos, that look like Herefords —a beef, not milk, breed. Good for you Alisha and Matthew! It’ll be up to you kids to stand tall. The hypocrisy of this lawyer is incredible. “I wish…”. Wish away….while you know damn well the agenda of croneyism amongst the pseudo-intellectual eltist swine that own that paper….and all others. Nice to be accepted there…as another pawn in fake ‘official opposition’ status. Maybe she can write a book about this. “The Man I milked”……burp!…Happy New Year Karen.